Amsterdam trams have been in service for over a century – from the days of horse and buggies, now transitioned to the era of electric powered vehicles. This LEGO model by KMbricklab features a model that was in service from the late 20s to the late 60s, with a distinctive, iconic, and classic look. 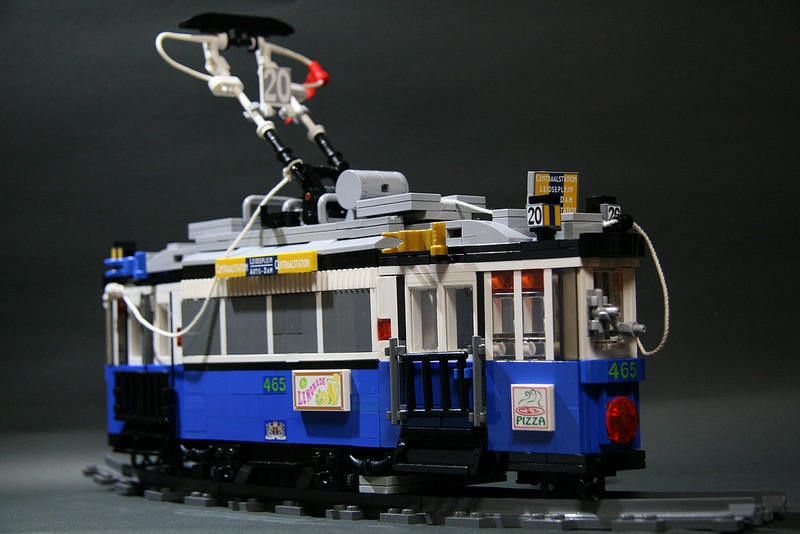 This build is full of details, and I especially like the detailing of the pantograph and makes me wonder if a truly electric powered LEGO tram car would be possible to be built. It would certainly fit in very nicely into a LEGO City throwback scene!